Michael Jordan statue at the United Center. 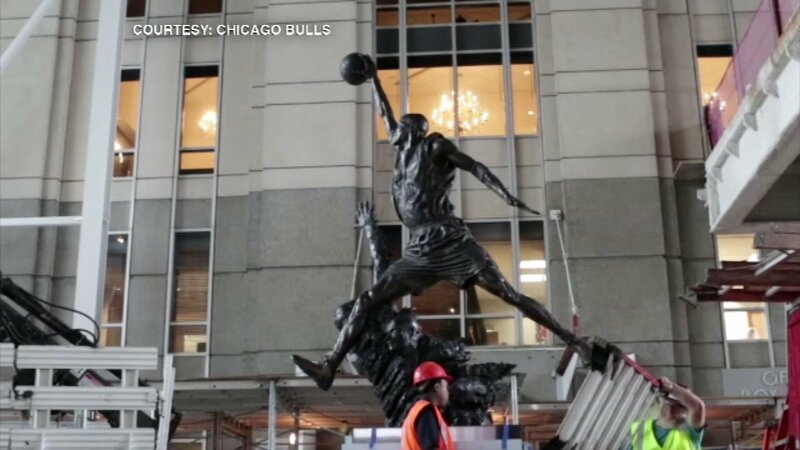 CHICAGO (WLS) -- A statue of Michael Jordan was returned to its permanent location outside the entrance to Gate 4 of the United Center, the Chicago Bulls said Wednesday. The statue was temporarily moved to begin construction on the new atrium for the United Center. Even though the statue is back, fans will not be able to visit it until the spring when the atrium is completed. The atrium will be a free, public space for fans that will include restaurants and shopping. Statues of Chicago Blackhawks legends Bobby Hull and Stan Mikita will remain in their current location outside of Gate 3 , according to the Bulls.